We just released a new batch of SGB bags featuring our popular Gearhead logo on them. If you are not familiar with our SGB bags, check out the reviews and the video below. We promise you will love these bags! There are a few things that make these bags so incredibly useful. Firstly, you can see through the mesh material used on the front of the bag. So no more opening the bag to see it's contents. Secondly, its construction; these are extremely rugged bags! Lastly, there is a metal grommet in the handle which works perfectly with carabiners, peg hooks, nails, and just about anything you can think of! Please Note: items pictured in bag are not included. These bags are great for at east two reasons. Very well made and you can see what is in them without opening them. The mesh makes it super easy to see whats inside. I wished that the opening was a bit larger, for guys with bigger hands. Overall, a great deal for the price. This is a great thing to have in your install tool bag. I have 6 in mine! 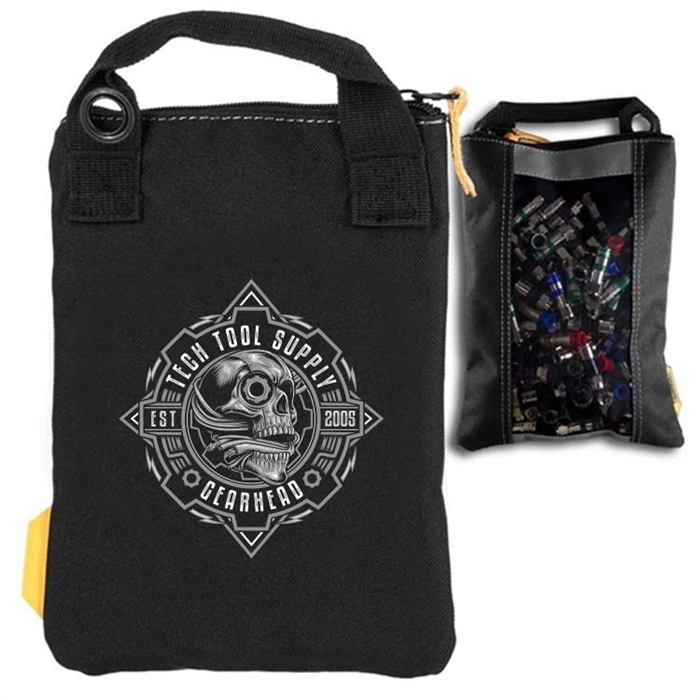 I put RG-59 connectors, RG-6 connectors, RJ-45, and other types in different bags. Very pleased with this. I recommend every installer have them. You will love the mesh window to see exactly what is in them. Well designed. Out of about 10 I bought over the years, I had one that the mesh screen became loose and started spilling out connectors. Poor sewing of the mesh screen to the bag. I am sure Tech Tool would make it up but I am satisfied. It lasted a year or more before this happened. I highly recommend these bags. 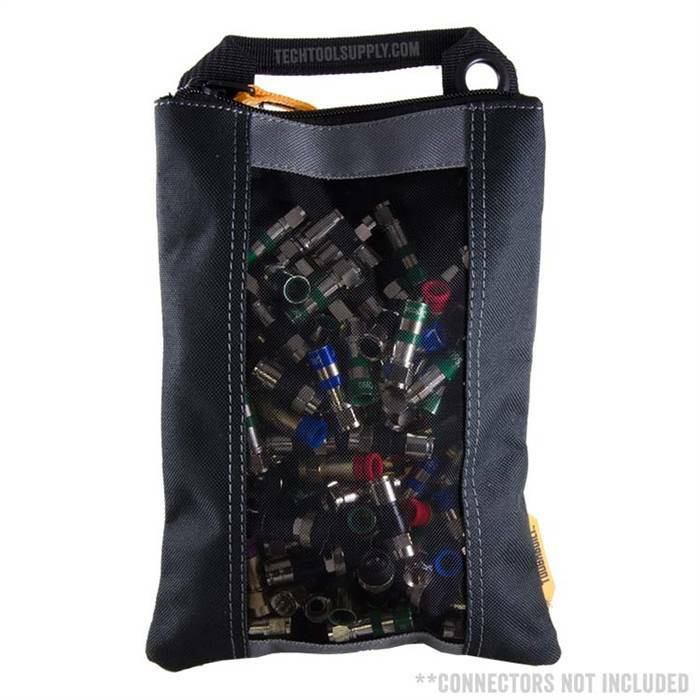 You can pack a lot in them and they lay flat in your install or termination tool bag. Much better than jars! The bag works great. Heavy duty handle can take the weight of a full bag of fittings. Zipper runs smoothly. Must have! Great for small parts, I gave one to my trainee for RG 6 fittings. The mesh is tough, everything is tough.